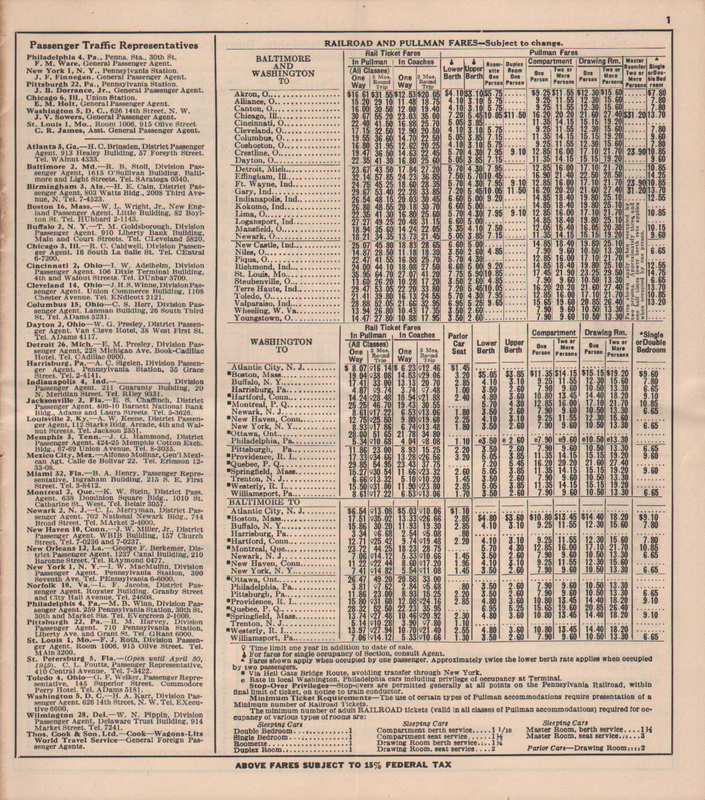 Description Pennsylvania Railroad (PRR) March 6, 1949 Form 80 Time Tables (Timetable). Picture of a GG1 under wire pulling a passenger train. Washington and Baltimore to the North and West. Time Tables - Standard Time, Washington, Baltimore and The West, Philadelphia, New York and New England. All trains between New York and New Haven are Electrically Operated.